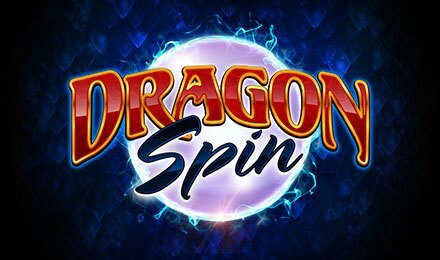 Scientific Games takes you to a unique setting on Dragon Spins slot. Packed with 5 reels and 30 paylines, head over to the sacred mountains, where fierce dragons guard the most prized treasures! Come face to face with these creatures, and let’s see if they’ll let you into to their safe haven. While you get busy at spinning the reels, come across symbols like: Red Dragon, Blue Dragon, Purple Dragon, Green Dragon, A, K, Q, J and 10 which land on your reels to form winning combinations. Start your gameplay, by setting your stakes on the Stake Field then click on the Spin button to start the game. If you’d like to play hands free, use the Autoplay option, which puts your selection of auto spins to play hands free. Bet Levels: No bet levels. Amount of Paylines Selection: All 30 paylines are fixed and cannot be changed. Coin Values: Set your stakes at the minimum of £0.30 to the maximum of £1.80. The Golden WILD symbol takes form of the wild. This replaces for all other symbols, bar the bonus symbol, to help for winning combinations. The Bonus Symbol is the Green Gem, which triggers the bonus rounds of Dragon Spin slot! Line up three Green Gem symbols on the three middle reels to trigger the feature. This awards one free spins and is played on the game’s prize wheel. Before each spin is set to play, reels which consist of stacked mystery symbols are replaced with two to three random ones. All mystery symbols are replaced by the same one bar the Bonus symbol. Wild symbols land during this feature. Raining Wilds: Five free spins are awarded and up to ten wilds are added to the reels per spin. Persisting Wilds: Five spins are triggered with any wild symbols locking into place for the remaining spins. The number of added wilds increases with every spin, reaching up to seven. Reel Blast: Five free spins are played on three-reel sets. The middle one covers reels two, three and four and is shared by all the reel sets.